In this installment of The Tall Of Fame we feature the amazing Wayne Dorsey. Wayne is a unique guy with lots of talents doing some good work with his organization. He’s also one of our incredible brand ambassadors so we get to have a more in depth look at him now through these interview questions. Officially, just how tall are you? Have you always been tall or did you get your height all at once growing up? I was told I grew about 5 inches from ages 15-17, so rapidly that I actually had stretch marks on my spine in high school. It was pretty bizarre. 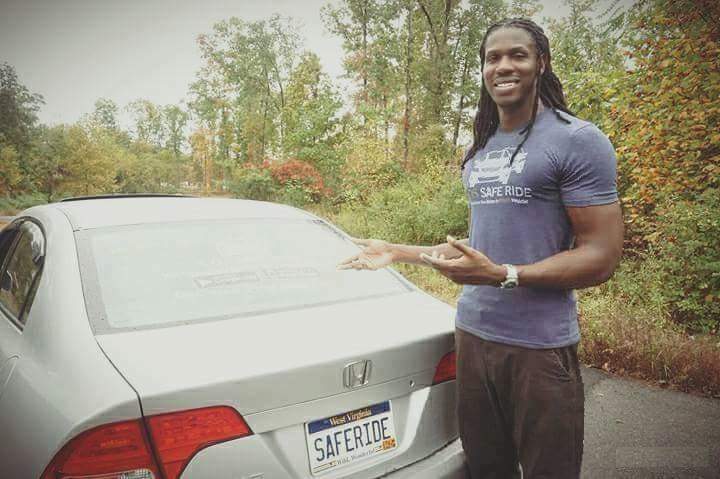 I’m the President/Founder of The Safe Ride Foundation, or SOS Safe Ride as we’re known to everyone else. We’re a nonprofit organization in Maryland working to stop impaired driving in the area. I’m a true Gemini, I try everything. Some would argue “Jack of all, master of none”. I like to classify it as “Jack of all, Master of Some”. I’m a skateboarder, a stand up comedian, mixed martial artist, video gamer, powerlifter, I play seven instruments, I’m borderline obsessed with pro wrestling, and yes… I also play basketball haha. What do you think is the best and worst part of being tall? Worst part? : With having really long arms, even longer legs, and a ridiculous metabolism… bodybuilding isn’t easy. It’s nice knowing that I’ll pretty much ALWAYS have a six-pack, but with such long limbs it takes a LOT more time, mass, and especially food to fill out our lankier frames. I eat about 5,000 calories a Day to keep my physique, I truly wish I was kidding, because it’s exhausting (and expensive) eating that much every single day of the week. Best part? : I like standing out, that’s pretty easy by default when you’re the tallest person in the room. Which tall question do you wish people would stop asking you and do you have a clever rebuttal? Just tell them it’s raining and pour water in their face. I guarantee they’ll stop asking. No but you’re kinda short, do you play mini-golf? You can either be the smartest person in the world or the richest person in the world…which do you choose and why? Smartest. Because no one could take that away from you. Would you be any taller or shorter if you could be? I toy with being shorter, but I mean like 6’3, nothing less than that. Anything taller than what I am now is what I categorize as “Freakishly” so I think I’m good on that front.